I have heard this scripture taught many times over my 34 years as a Christ-Follower. Each time I hear or read it, it quickens my spirit. My heart’s desire is to be a wise woman. 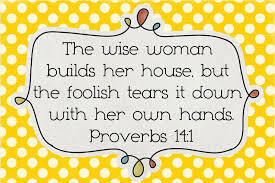 A wise woman who builds her house versus a foolish woman who tears it down by her own efforts. I am still quite a work in progress though. As I read this verse, I wonder if I could possibly be the foolish woman who was tearing her house down by my own efforts? The tearing down of her house doesn’t seem accidental to me. Seems there was an effort being made to tear it down. Maybe it’s willful or maybe it’s indifference or maybe from a lack of knowledge. Matthew Henry’s Commentary describes it like this: a woman who has no fear of God, who is willful and wasteful, and indulges her own comfort, will as in certainly ruin her family, as if she plucked her house down. Wow. I ask myself, “Am I being wasteful of my time, talent and treasure? Do I indulge in my own comfort to the exclusion of others in my home?” I don’t know about you, but that really hit me. I want to get this right before my God. I want no part of being a foolish woman, do you? Know your worth. This is extremely vital to building a house on the right foundation. A woman who knows her worth (in Christ) is a woman who can withstand criticism from others who consider building a home a total waste of time. She knows this is a noble, God-honoring way of life. She doesn’t waiver to and fro with consistent doubts about it. She finds her purpose, calling and passion in Christ alone. She embraces who God made her and who He says she is. She allows Him to direct her steps. Because she knows her worth, she has the ability to leave a lasting legacy unlike the foolish woman who can invoke ruin for future generations. She counts it a privilege to be used by God in this way. Proverbs 31:10 says: Who can find a virtuous woman? Her price is far above rubies. I hope you are a woman who knows what you are worth to God. He paid far above rubies for you. He paid for your life with His own. Dear one, that means you are priceless! +First Look: Read John 1:12; Galatians 3:26-29; Matt 5:13; John 15:16; 1 Cor. 3:16; 1 Cor. 3:9 and Psalm 139. >Which one of these truths do you struggle with most? Ask God to help you accept what He says about you. 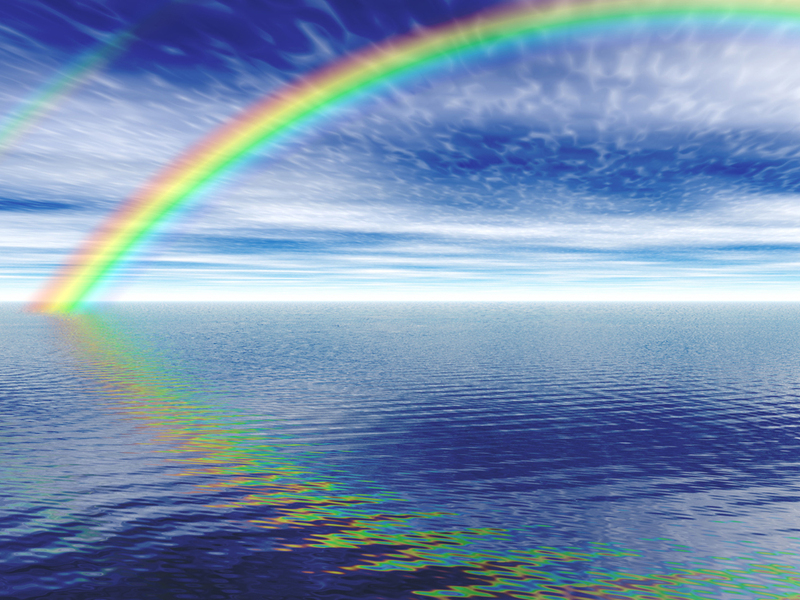 > Which resonates with you most? Praise God for who He made you to be. This entry was posted in Homemaking and tagged Christ, family, God, Home, homemaker, house, legacy, passion, priceless, rubies, talent, treasure, wisdom, wise, woman, Women, worth. Bookmark the permalink. I’m still working on this part, but it’s so important. In this day in age, homemakers are not even respected from a lot of Christians. The criticism I’ve mostly experienced isn’t even an outward insult. It’s usually a silent acceptance and lack of interest in what I do. I think the worst comments sound like this, “I know you’ll do something really amazing one day.” As if I’m not now. I just need to continue to know my value in Christ and not worry about being good enough for everyone else. Thank you for sharing this! That’s the best way to handle that. I truly believe that if you don’t recognize your worth you’ll keep trying to find validation in other people’s opinion. As women we need to be absolutely assured of our what we’re called to do. We don’t have to prove that to anyone. The truth is that you are good enough and far beyond that. Love this blog, I to am working on this and teaching my children this to. That our worth is in God, who loved us and gave is Son to die for us. When we don’t know our worth in Christ we are affected by criticism, we criticize, we look to others to value us and validate us. This encourages me to be who Christ has called me to be and to know my worth. Bless you for this. Thank you, Heather for you comments. I love that you and your children are learning who you are in Christ. Continue to grow in who Christ has called you to be. Peace and blessings.